SiteDraw Lite is designed to create fast and accurate “As Built” floor plans. Rooms are drawn by manually inputting room dimensions and swiping the screen in the direction of the line, or by receiving measurements from Leica Disto Laser Rangefinders*. Designed with the Builder, Interior Designer, Space Planner, Flooring Estimator, Insurance Adjuster, Real Estate Agent and Appraiser in mind, SiteDraw Lite eliminates the overhead and steep learning curve of similar CAD type programs. Draw straight lines, angles and curves through triangulation off of existing room points. The door insertion tool allows rapid placement of door locations and openings from fixed reference points within a room. Once the first door opening is created, SiteDraw Lite memorizes the width and depth of the opening to make repetitive door placement in rooms, halls and corridors a breeze. 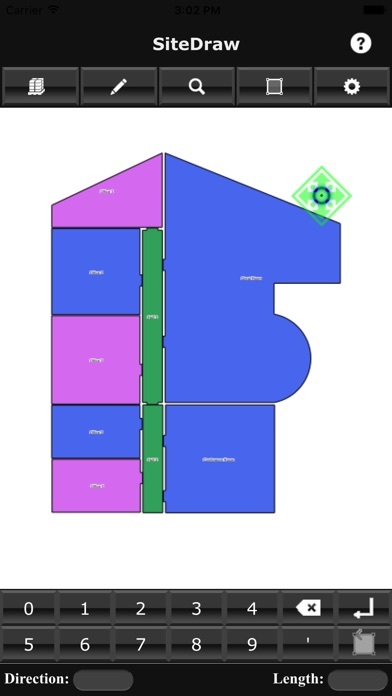 Door locations are also used as the connecting point to accurately position rooms in relation to adjacent rooms. 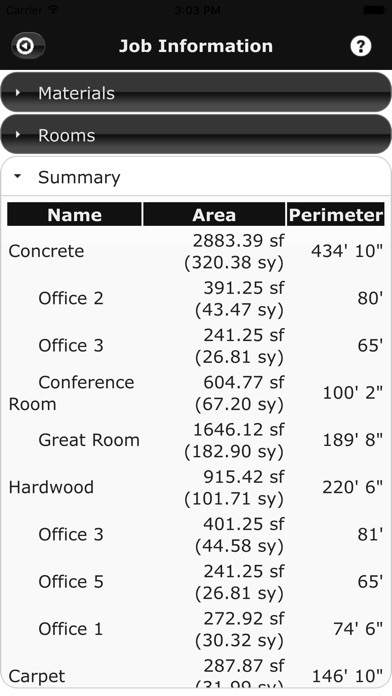 Room summary displays net square footage, square yardage and perimeter per room. 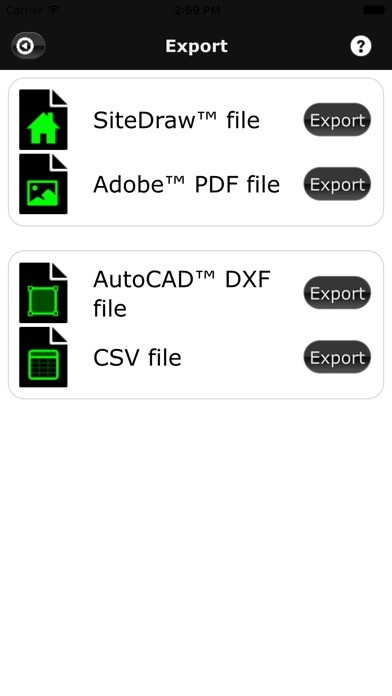 Drawing (with room dimensions) can be exported to .pdf, .csv, and .dxf. *Disto is a registered trademark of Leica Geosystems. SiteDraw Lite will not integrate with all models of the Disto Laser Rangefinder. Visit the SiteDraw website for hardware compatibility.